Though it is about two-and-a-half years away from beginning play, the upcoming Seattle NHL expansion franchise is drawing plenty of attention. Once it launches in 2021, the team will represent not only the NHL’s first foray into Seattle, but the biggest draw at a greatly overhauled KeyArena. A prospective Seattle AHL affiliate is significant in a few respects. It serves as a reminder of the NHL expansion squad’s implications on professional hockey, as it will lead to AHL expansion and affect areas such as conference and division alignment and facilities. 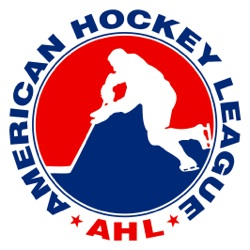 It also appears likely to grow what has been a burgeoning success for the AHL in recent years: the AHL Pacific Division. Just where the Seattle AHL affiliate lands remains to be seen, but the Pacific Division is currently the only one in the league that does not have eight teams. Adding another club would make it even with the league’s other three divisions and based on some of the locales that have surfaced as potential land spots thus far—including Boise, ID and Palm Springs, CA—it appears that Seattle NHL officials will set their sites on a strong market in the Western United States. From a facility standpoint, a Seattle AHL affiliate will likely have implications on wherever it plays. Commonly, the arrival of an AHL team to a market leads to upgrades to an existing arena. That includes situations in which ECHL clubs withdraw from that league in order to move up to the AHL, as the Budweiser Events Center was upgraded after the Colorado Eagles moved forward with their plans to jump up to the AHL. More details on the prospective Seattle AHL affiliate will likely emerge down the road and build anticipation for when it launches. Figuring out where the team plays is a major decision that has to be made, but it is already apparent that it could put the Seattle NHL organization in line with many of its Western counterparts, while providing a boost to the AHL.